Captain Morgan, the Diageo owned rum distiller, funded excavations at the site of the real Admiral Morgan’s shipwreck this summer. No word if any rum has been found aboard the wreck or if the salvage crew were cited for operating an ROV under the influence. Excavations continue on both Captain Sam Bellamy’s Whydah and Blackbeard’s Queen Anne’s Revenge. Artifacts from both wrecks can be viewed at their respective museums in Provincetown, Massachusetts and Beaufort, North Carolina. According to the Maritime Executive, there were 17 pirate attacks just last month. This month, pirates even fired upon an Italian naval helicopter. A map of pirate attacks in 2012 can be viewed here. Last year, 35 people lost their lives while being held hostage by Somali pirates. As of August 30, there were 11 vessels and 188 hostages being held by Somali pirates. 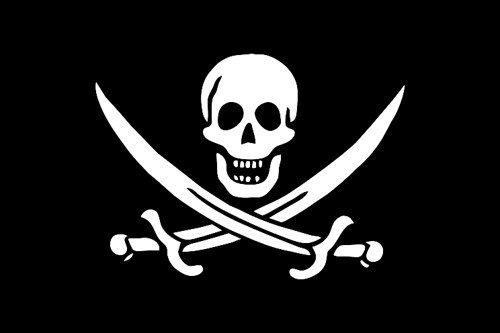 In addition to the human costs of piracy, experts estimate that the financial costs of piracy was around $6.6 – 6.9 billion in 2011 alone. Piracy along the coast of Somalia has become such a problem that one of the primary reasons for the 2007 creation of the US’s Africa Command (AFRICOM) was the fighting of piracy. It’s rumored that the servicemen of AFRICOM will star in Disney’s upcoming film Pirates of the Caribbean: On Somali Tides.